MGM Resorts International (NYSE: MGM) is an S&P 500® global entertainment company with national and international locations featuring best-in-class hotels and casinos, state-of-the-art meetings and conference spaces, incredible live and theatrical entertainment experiences, and an extensive array of restaurant, nightlife and retail offerings. 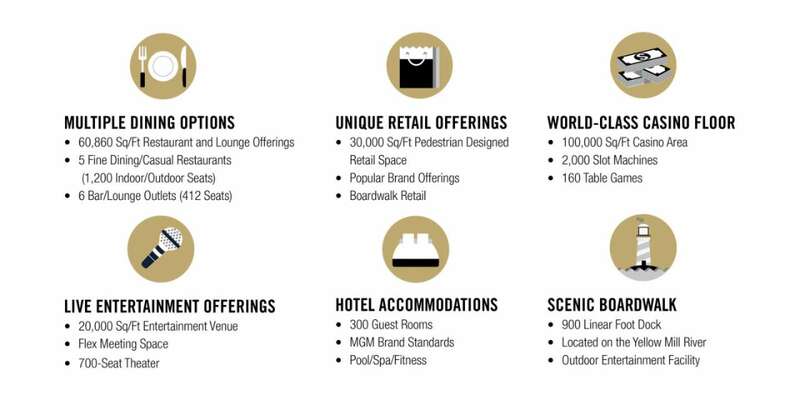 MGM Resorts creates immersive, iconic experiences through its suite of Las Vegas-inspired brands. The 77,000 global employees of MGM Resorts are proud of their company for being recognized as one of FORTUNE® Magazine’s World’s Most Admired Companies®. For more information visit us at mgmresorts.com. Seaview Bridgeport LLC is owned and operated by RCI which was founded in 1969 and is a leading developer of marina properties across the United States including Michigan, Indiana, Florida, Massachusetts and Connecticut. In all, RCI has developed and/or operates 9 marinas with over 1,285 marine slips. RCI has developed 9,760 apartment units and over 1.9 million sqft of retail, office and commercial buildings. A century ago, Bridgeport welcomed my family when they emigrated from Ireland. It is the city where I was born, and where a work ethic took root. I recall the neighborhoods and businesses that helped define Connecticut’s largest city, where families like mine could, through hard work and determination, build their futures. My connections to Connecticut remain strong, and I have assembled a team of experts at MGM who share my commitment to developing properties that maximize the potential of urban communities and contribute to their vitality. 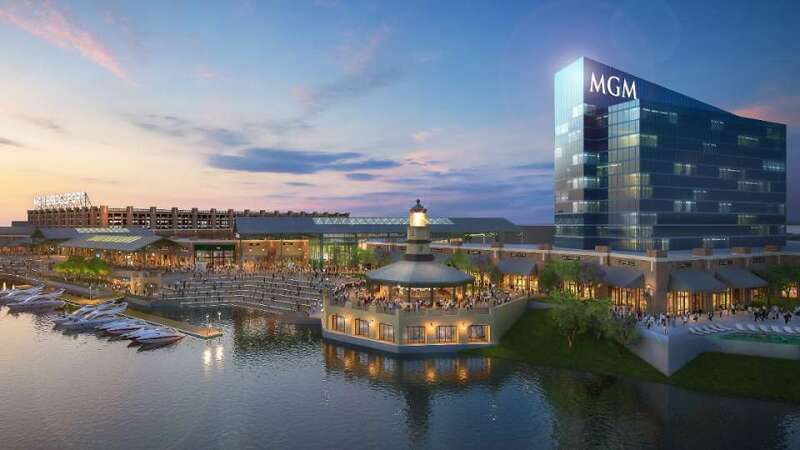 MGM believes that Bridgeport is the best location for Connecticut's first commercial casino and is committed to competing in Connecticut wherever opportunities arise. We welcome the opportunity to work closely with Seaview Bridgeport LLC to create a magnificent new center of energy and vitality in Bridgeport. In the coming days, we will share our ideas and plans with the people of Connecticut and with policy makers in the city and across the state. 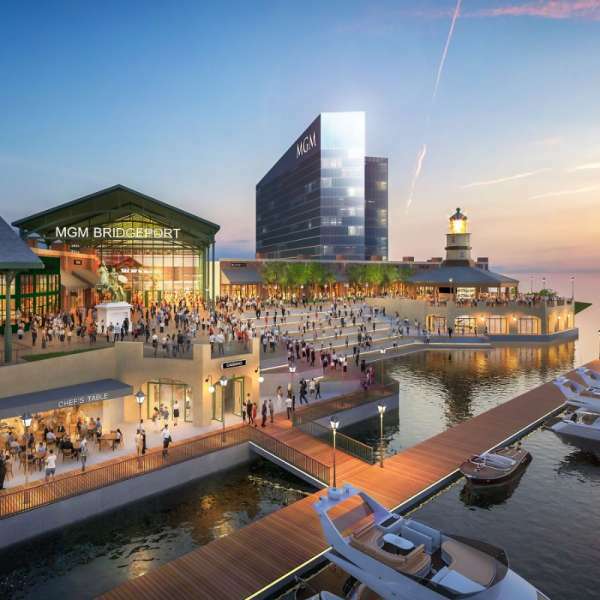 MGM Bridgeport promises to be a pivotal development that will jumpstart job growth and economic expansion in Connecticut. 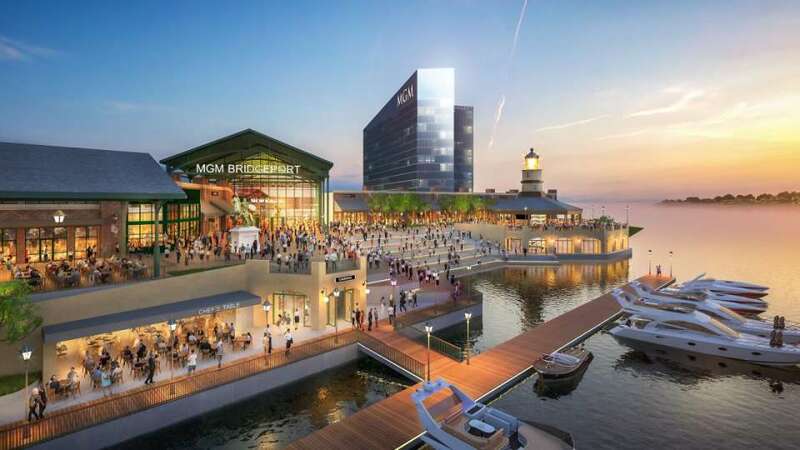 As a central component of the breakthrough Bridgeport Harbor initiative, MGM Bridgeport will emerge, advancing efforts to realize the potential of Connecticut’s largest city. Our track-record reflects that is what we have done in Maryland, Michigan and Massachusetts. And that is precisely what we will do in Connecticut. Ours is a partnership for progress that will bring jobs and produce economic benefits. MGM is ready, willing and able to make a real investment in Bridgeport and in Connecticut. The landmark partnership between MGM and Seaview Bridgeport provides ample evidence of the seriousness of our interest, and we invite everyone to take a look at our plans and projections. While our intent in Connecticut is surely about seizing an exceptional business opportunity, it is also deeply personal. We look forward with enthusiasm to moving ahead if given the opportunity to implement our plans for MGM Bridgeport. The benefits will accrue to residents and businesses in Bridgeport and in every corner of Connecticut. Jim Murren is Chairman and Chief Executive Officer of MGM Resorts International. He is Chairman of the American Gaming Association, a member of the Business Roundtable and the National Infrastructure Advisory Council, and serves on the Board of Trustees of Trinity College. Seaview Bridgeport LLC is coming into sharper focus with each passing day, moving forward to realize the potential that we recognized and have been working diligently to achieve since 2000. From day one, Seaview Bridgeport LLC has been unrelentingly committed to the development of Seaview Bridgeport LLC as an economic engine for Bridgeport, Fairfield County and the State of Connecticut - a thriving mixed-use, urban-oriented waterfront development and new Long Island Sound destination. That vision will be energized and enhanced with the presence of a world-class resort casino. That is why we are so excited by, and strongly support, the partnership we have forged with MGM Resorts International. Through the years, our progress has been buffeted by recession, but we have been firmly committed to our investment and to the promise and potential of Seaview Bridgeport LLC. One need only glimpse at the leading national retail businesses that have been attracted, the construction now underway on the landmark Dockmaster’s Building, and the local and federal reviews and approvals that have been earned to recognize that the vision is coming to fruition. Resilience and patience have characterized our efforts - and the greater community payoff for Bridgeport and the state of Connecticut is now within reach. The transformation development that is Seaview Bridgeport LLC will be strengthened immeasurably by the alliance with MGM. We look forward to securing required legislative approvals so that this critical private investment of over a half billion dollars may proceed without delay. This project presents the legislative leaders with an opportunity to bring new revenues to the state budget, in the form of $50 million dollars in licensing fees, while at the same time creating over 5,000 new jobs for the state. 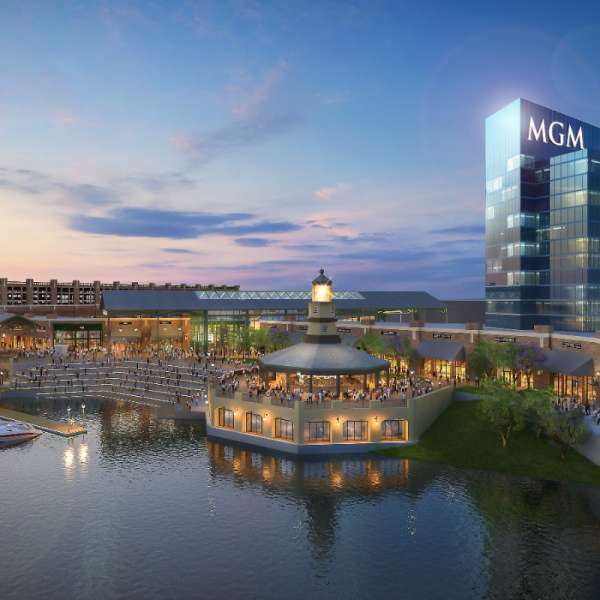 MGM Bridgeport, is just the type of private investment that caused the state of Connecticut and the city of Bridgeport to support the Bridgeport development in the first instance. Robert Christoph is the Founder and Chairman of the Miami Beach based RCI Group and its related companies. He is a member of the Board of Directors of the First National Bank of South Miami.